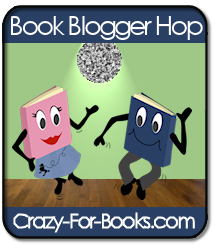 Welcome to this week’s Book Blogger Hop which is hosted by Crazy-For-Books. Go over to her blog for more information and to leave your links to your post. 1. My name is Nari, I’m a librarian in the Bay Area, and I’ve been blogging for about two and a half years. 2. My reading taste is pretty eclectic, I’ll read children’s, teen’s and adult fiction and nonfiction. I can rule out what I don’t like reading easier than what I do like. 3. I’m currently reading My Life in France and listening to Catching Fire on audio cd. 4. My next book will be Animal, Mineral, Vegetable by Barbara Kingsolver. 5. You can also follow me on Twitter and Facebook for blog updates. Thanks for stopping by!! Leave a comment and tell me something about your blog! This entry was posted in Blogging and tagged Book blogger hop. Bookmark the permalink. Hope you’re having a great blog hop weekend. Just visiting via the hop!